If you feel a little confused about trying to find a Lincolnwood handyman services or bathroom remodeling contractor let us make it easy for you. At Gary’s Home and Bathroom Remodeling we have been taking care of this type of work since launching in 2000. And since then we have earned the reputation for being the best in the business. A good percent of our clientele is based on repeat and referral business which you cannot earn unless you take the best care of your customers as possible. It has always been our goal to offer customers the best in craftsmanship and customer service. In fact our motto is “Quality Service at an Affordable Price.” Now we look forward to having the chance to show you firsthand what makes us number one. Residents of this area know what a lovely place it is to call home. It’s no surprise that our crew of experts here at Gary’s Home and Bathroom Remodeling is also thrilled to get the chance to take a job here. Being locally owned and operated means we don’t just pick up jobs; we work with fellow community members who we often get to know personally. There is plenty to see and do here in Lincolnwood. For one thing “The Towers” (the name locals have dubbed the Lincolnwood Towers) is the ideal spot to view holiday lights which just happens to be 20 square blocks of decorations. There is also the dining spot L.Woods which is now nicknamed the “Ocean’s Twelve” room due to a scene from that movie being filmed here. So we are thrilled to have the opportunity to meet new clients here or get to see ones we have already worked with before. Want to change your house by focusing on just one room? When we get to take on a Lincolnwood bathroom remodeling project homeowners are always amazed how much this can change the overall feel of the house. That’s usually because the owner has been living for so long with a bathroom they just don’t like. So breathing new life into this area will help change the home all over. 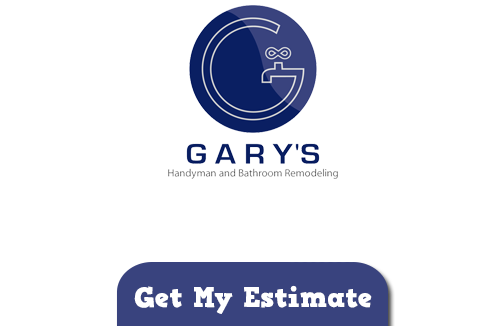 For your next kitchen or bathroom remodeling in Lincolnwood the name to trust in is Gary’s Home and Bathroom Remodeling. Whether you know exactly what you want or need some creative inspiration we can help either way. We guarantee you will love the new look and feel of your house by changing even just one room. So let us take care of your Lincolnwood handyman services or bathroom remodeling job starting today! If you are looking for a Lincolnwood Handyman and Bathroom Remodeling Company then please call 847-800-4279 or complete our online request form.